After watching this video about those attending the University of Maiduguri (UNIMAID), my heart swelled with pride for those who are going to school despite (and almost in defiance of) Boko Haram’s threats. I am also very proud of President Buhari’s promises to stop violence from herdsmen and bandits. There is a lot that needs to change in Nigeria, as seen by Falz’ brilliant video, “This Is Nigeria” (a cover of “This is America” by Childish Gambino). But I am glad to see that progress is being made, despite kick-back from those who want to stop Nigeria’s progression toward true freedom and healing as a nation. I was so happy to hear of this progress that I wanted to write this letter to those fighting opposition, especially to the students of the University of Maiduguri, to encourage them to continue doing what they’re doing—and to point them to Jesus Christ. Although I do not know you—and probably never will—I just wanted to say that I am proud of you. You may not see why. Going to your university may seem to have nothing special about it, just as I go to my university. For many of you, it is a simple, normal, day-to-day thing. But you also see and understand that, for you to go to your university, there is a much higher risk of attack from Boko Haram— a type of violence that I do not have to deal with on a daily basis. Each day, you chose to go to a place where there is some risk of you being hurt. While some would say that this is unwise, I point to the extensive amount of security that UNIMAID has implemented to make you attending school something that is not stupid. Yet, though there is implemented security, there is always risk. I commend you for each step you take toward that school, knowing that there are many people who absolutely oppose you getting the education that you are getting, and making the progress that you are making. And that takes major, major courage, my friends. But sometimes bad things happen. We lose courage. Sometimes we are afraid, and we are not the people, gallantly opposing evil, that we should be. The Author and Finisher of our Faith. Our Savior, the One who makes us right with Himself. The One who died on a cross to pay for our many lapses of faith, our disobedience, our transgressions. It is His perfection that God sees when He looks at those who place their trust in Jesus Christ. And it is His faithfulness that will get us through the darkest nights of our lives, when it feels as though the enemy lurks in the shadows. We fail, but Jesus does not. Let’s rejoice and rest in that. He, and He alone, is worthy of our highest praise. As you continue in life, my prayer for you is that Jesus would be your Lord, your Savior—and that He would make you brave, as you face opposition toward progress and healing in any form. May your courage and worth be found in Him! Jesus obeyed perfectly, so that we wouldn’t have to. Learn more about Jesus, what He did, and how it changes everything forever, here. The corruption seen in Nigeria. Falz’s cover “This Is Nigeria” is poignant—pray that it shows people the sin of Nigeria, and how only Jesus can fix it. The Chibok girls and Leah Sharibu. Pray that they would be freed, soon. You can find their names and pictures, here. The Nigerian military, law enforcement, and Joint Civilian Task Force. Pray that they would seek Christ, and that they would have favor as they fight Boko Haram, herdsmen, and the like. Thank you for your prayers and support!!! When I started this blog, over 3 years ago, I never would have imagined the journey Jesus would take me on. 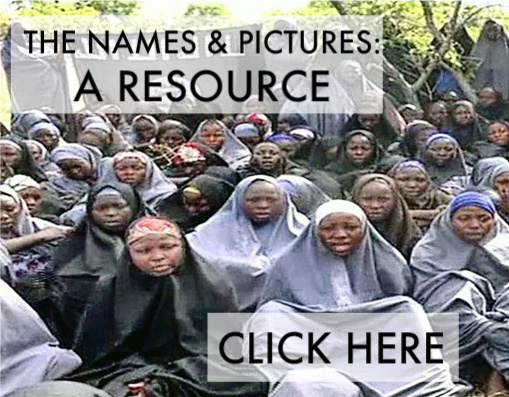 I just wanted to say a quick, but honest “Thank You,” and I wanted to sit and really thank Jesus for each and every person He has blessed me with– including the 276 Chibok girls who were, and still are, the reason for this blog in the first place. 3 years ago, Jesus simply led me to all of this, through a community of women praying for each other (you can read more about that story, here). Jesus opened my eyes to a group of women in Northern Nigeria who were in the spotlight at that time, known as “the Chibok girls.” Though I have never met these young women, they have become an amazing part of my life; Jesus has given me a Love for them that I could not have ever gained on my own. And you. Through your constant support, comments, and prayers, mountains have moved. Chains have been broken. Eyes and hearts have been opened, including mine. And I can honestly say that I am BEYOND blessed to know each and every one of the people who read this blog, and who pray for everything spoken of, as much as one can. Let’s storm the heavens to see what Jesus wants to do next in freeing, healing, and restoring these young women, their families, and other victims back to life through a relationship with Himself! Thank you, friends, for your continued support and prayer!!! It is moving mountains, and bringing me wonderful encouragement, joy, and comfort. Let’s thank Jesus, most of all, for us even being able to actually know Him. If you do not currently know Jesus personally, as Your Lord and Savior, I invite you to learn more about, and meet Him, here. This past Saturday, amazing people– people who served in unthinkable wars, and survived some of the world’s most brutal trauma– were celebrated, during Veteran’s Day. But, honestly and sadly, as much as I hate to admit it, Veteran’s Day was not a holiday that I held in the forefront of my mind– at all. Reading BeautyBeyondBone’s post on how this holiday was basically ignored, I felt both convicted for not truly observing this holiday, and inspired to, once again, write on warfare in honor of Veteran’s Day, all at once. But what was I to write? After prayer and the Holy Spirit showing a couple of things to me, I believe I am led to write a short post of appreciation for all of my fellow Americans in the military, while also praying for their safety according to Psalm 91. Here it is. From the deepest part of my heart, thank you. Thank you for mustering up the courage, bravery, and seflessness to do such a thing as put your lives out on the line for our freedom: freedom to speak our opinions, freedom to pursue the lifestyles and careers we want, and most importantly, the freedom to worship. We all know that in other places in the world, Christians are not allowed to even openly believe in Jesus and His Work on the cross, much less meet together to celebrate, worship, and learn from Him through the Word being taught by pastors and teachers. It amazes me that Christ would plant me in America, born in the west, so that I might know Him from an early age, and grow in my relationship and walk with Him with little to no persecution. He could have planted me, planted us, in so many other places, all around the world, but He didn’t. In Revelation 19, Jesus is called “Faithful and True,” the One who will rain down divine judgment and war (Revelation 19:11). 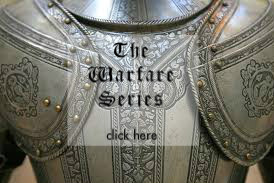 This Mighty Warrior, Jesus, once called an ordinary man– one just like you and me– to fight for the liberation of Israel. His name was Gideon. Gideon was scared at the thought of fighting against those who were oppressing Israel, the Midianites. But, in the midst of this man’s doubts, fears, and weaknesses, God said this. Whether you believe in Jesus or not, dear friend, I pray you would understand that Jesus is not a religion. He is a person; a person who deeply Loves and Cares about you. Every anxiety, every fiery trial full of gun fights, and every moment of PTSD-like memories you have, Jesus is right there, waiting for you to call on Him as Lord and Savior, for help. Please do not refuse His Help. For, with Him alone as your Lord and Savior, you have the ultimate victory. I pray that this has blessed, and encouraged you. I wanted to bless you, by praying Psalm 91 over you. Please bring these men and women to come to know You, so that they might rest in Your Shadow, and call you their Refuge and Fortress. Please help them to trust in You when they are afraid (Psalm 56:3). Please save them from falling into temptation, and the traps of their physical and spiritual enemies. Jesus, please cover these active men and women with Your Feathers. When all of the fighting and memories get to be too much, please be their refuge. Please show Your Faithfulness to them– for it is great, Father God. As they are in the middle of the worst of the worst, Lord Jesus, I pray that You would protect and safeguard each man and woman who is fighting. I pray for amazing miracles, Jesus, to happen on the battlefield– miracles that will speak even to their enemies of who You are, so that all might come to know You! Please give these men and women the faith to call upon You as their Refuge, dear Jesus. Remove the lies and fears that their own minds and their enemies give them; make them strong and bold in You. Do amazing things before the eyes of these men, women, and the people they are fighting to protect. Do supernatural, awe-inspiring things in their midst, so that they will know that You are LORD alone. Please bring back these men and women safely! Over EVERYTHING, dear Jesus, may they know You alone as their Lord and Savior! I pray that they would have a humongous testimony of Your Faithfulness and Help in their lives, Jesus. May they call upon You, and always rely upon Your Love for them and Your blood– nothing else. Please help those who are struggling with what has happened to them– who feel it is impossible to reconcile the fact that You are a Good, Loving God, with the things they have seen. In their doubt and anger, may You show Yourself to be real to them, despite their questions. You are all very Loved by Jesus, and by those who are calling upon Christ for you. Thank you, again, for your service. This same God– this “Mighty Warrior,” called the “Lion of Judah” (Revelation 5:5) — is also called “The Lamb that was slain, for the sins of the world” (John 1:29; Revelation 13:8). But why did Jesus have to die? Why did He willingly become a man, to be sacrificed for your sin and mine? 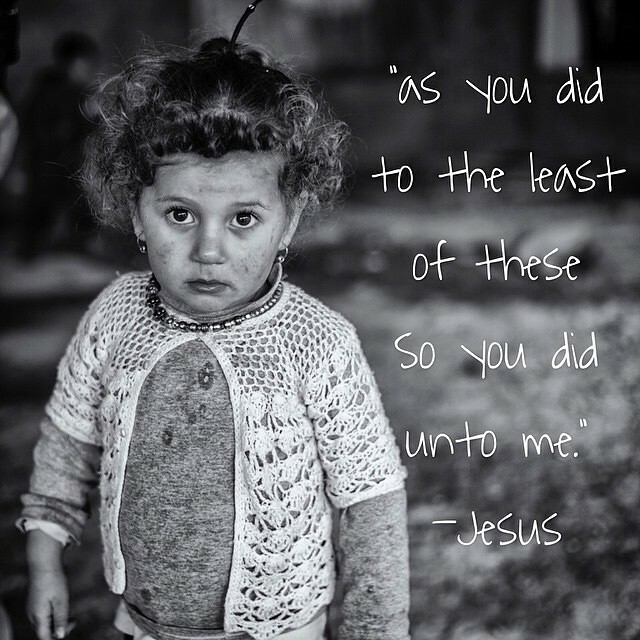 Read more about Jesus– and why He did what He did– here. Thank a Veteran or member of your military for their service, today. Thank you for your love and prayers!!! I read in this report that 86% of displaced peoples in Northern Nigeria, approximately 1.2 million people, are currently afraid of going back to their home towns and villages in Northeast Nigeria. This letter was written to these people, in response. Hello. You may never know me; and I may never know you. Living halfway across the world from you, I have not experienced your culture, and I do not truly know the world you live in. I will not pretend that I understand the pain you have experienced; I cannot. I look at pictures of your children, and I cry at their gaunt, fragile bodies. I hear about the land you once inhabited, your homestead, where you once grew your wheat, making a living. I have heard that those people, those locusts with human flesh on, stole it, stole it all, after stealing the lives of your loved ones– those who tried to escape. I hear about these things. But how could I ever know them? It seems trite, even insulting, to write such a letter to you. So much, so many has been stolen from you. Your fathers. Your mothers. Your children. Your lovers. Your husbands, your wives. Your innocence. Your homes and villages, wrecked by these locusts with human skin on. And the miles you walked, ran, and hid to get away. As scorching as the heat that once made Hagar cry out in the desert, you walked your weary bodies across the highest of temperatures to get away from those locusts– those men who rob, and kill, and destroy. You may have almost died… maybe some of those closest to you did die. I could never be able to understand this feeling: the horror you experienced as they slipped away. All I can do is cry, when I think about it. Cry for you, cry for them. Cry for the pain that now keeps you awake at night. By now, millions of people, in the same predicament as you, have found some sort of shelter. An internally displaced people’s camp, a friend’s house. Maybe even an old school building, one similar to the one your children learned in, before it was all taken away. Maybe you have been there for one week. Maybe it’s been six months; maybe it’s been whole years, since you once saw your homeland. And they want you to go back. The government, who, for many of you, did nothing to protect you, and nothing to disarm your enemies– they now say it is okay to go home. I cannot imagine how you feel; I know that probably everybody feels something different. But according to this report, it says that most of you are afraid. Afraid of the known; afraid of the unknown. Afraid of the past; afraid of the present. Afraid of the future. Friend, if this is where you are, I want to encourage you. I know that I could never fathom the many atrocities you have been forced to experience. But there was a time in my life, where much of what I held dear was stolen, too. Food did not enter my mouth. My “homeland” of friends had to be left. For a time, I felt I had lost my own family. The details of this story are for another day. I went through the most painful, heartbreaking time of my life, and let me tell you: I was a desert. I was dry bones. At times, I literally lacked even water; my own hands would not give it. Fear enclosed me on all sides. I was afraid of the past happening again, and was afraid of what my future would hold. Friend, I was terrified. But this is the Truth: even when I did not, could not see Him, Jesus Christ– the Lord of Heaven and Earth– was working for my good. Even when I felt, even when I was, alone, He was there, with me, in the darkness, chaos, and confusion. When I was thirsting, spiritually and physically, Jesus quenched my thirst with His Promise: “I will never, never fail you nor forsake you” (Hebrews 13:5, NIV). Friend, His Presence, according to Hebrews 13:5-6, makes Him your Helper. The Hand you hold during this trial, this storm. And when you are on the other side of this? Jesus is Your Helper. Sounds trite, doesn’t it? Especially coming from the mouth of a person who doesn’t know the first thing about your tragedy. But I do know about mine. It’s been three years later, and I can promise you this: If you place your trust in Jesus Christ, none of this will be wasted. And He, being Your Good Shepherd, will give you life. Life, abundantly. He will restore back all of what those locusts stole. He will restore you. We are praying for you. You matter; You are Loved. I want to bless you, by praying for you, here. “Dear Jesus, Thank You for each and every one of these people. Thank You for keeping them alive. Please let them hear, today, of Your Unfailing Love. Please help them to dream again. Help them to flourish, and restore ALL that these locusts stole from them. Jesus came, that we might have Life, and have it abundantly. In fact, He paid the ultimate price for us to have eternal life. Learn more about this God, who lost everything, that we might gain everything in Him, here. Please continue praying for those who have been internally displaced from their homes, in Northeast Nigeria. We are called to be Jesus’ Hands and Feet, being the practical way others can claim that Jesus is their Helper. You may find a great resource for charities to give to that are currently involved in aiding IDPs in the Boko Haram insurgency, here. Thank you for all of your prayers and support!